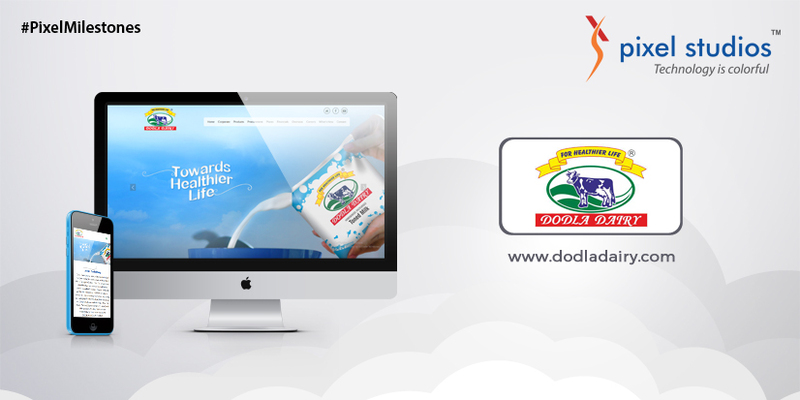 Dodla Dairy- one of South India’s leading supplier of quality milk and milk products, faces a continual improvement that reflects customer confidence in the products and services they offer. By delivering a wide range of products in both liquid milk and by-product categories conveniently packed to help customers, Dodla Dairy stands as one of the popular dairy brands in southern India. Since Dodla chalked out an enormous growth on a global scale, they wanted to change the outlook of their website with attractive product images and curated content. We had given them an aesthetically pleasing website with out-of-the-box designs and themes entirely different from earlier which reached a wider audience and garnered an amazing response.